Not even two years have passed since Formlabs debuted its first 3D printer, the Form 1, on Kickstarter. But on Tuesday it will reveal the Form 1+, an updated machine that relies on more powerful equipment to print objects up to 50 percent faster and more reliably. It looks almost exactly the same as the Form 1 and will sell for the same $3,299. But Formlabs reports it totally reworked the machine’s insides to achieve a better print. Unlike fused deposition modeling 3D printers that rely on spools of plastic for printing, the Form 1+ is a stereolithographic printer. That means it uses a laser to cure liquid resin bit by bit, gradually building an entire 3D object. The Form 1+ uses a laser that is four times more powerful than the laser in the Form 1, and the system of mirrors that precisely direct the laser at the resin are more finely tuned to produce a cleaner print. The printer will come with a new resin tank that blocks light, meaning it can be stored outside of the printer. It is also now selling black resin, increasing printing color options beyond white, clear and gray. Form 1 owners will be able to upgrade their machines to a Form 1+ for a fee. 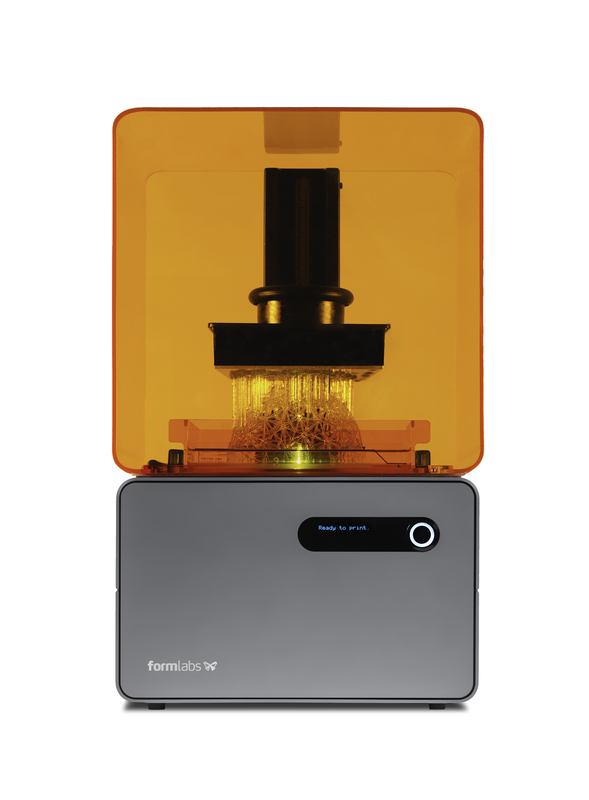 Formlabs was founded in 2012 in Cambridge, Massachusetts, by MIT engineers and designers. After raising nearly $3 million on Kickstarter, it went on to raise $19 million in Series A funding last fall. When the Form 1 began shipping last year, there were only a few desktop SLA machines to compete with. There are now many. Lobovsky pointed to the Form 1+’s one-year warranty, software and customer support resources as the factors beyond its engineering that will keep it competitive with other emerging SLA options. And there is more to come from Formlabs. “[We] like to stay quiet about what we’re working on next, but rest assured — we’ve got some big things in the pipeline,” Lobovsky said. Great they are still working on it. It has a lot of potential.